Top 10 Blogging Platforms Available in 2018 - Which One to Choose? Top 10 Blogging Platforms Available in 2018 – Which One to Choose? Blogs are one of the best ways for you to get your ideas out of your head and into the world. Before their rise back in the 90s, the only published writers were journalists, but now anyone with a laptop and a blog can have a say. In fact, tons of people make their full-time living running their own blog although some just prefer to use them as always connected journals. Whatever the case, all blogs have one thing in common: a robust blogging platform! Today we’ll cover everything you need to know about blogging platforms. From the basic definitions and features along with our picks for the top 10 blogging platforms available in 2018. Let’s get started! A blogging platform is a foundation and framework to build your blog. It contains all of the tools you need to write and publish your blog posts to the entire world. Blogging platforms also encourage user interaction and engagement, with comment sections and different social media sharing options to spread your blog post further. While some people may assume that all blogging platforms are the same, there are certain advantages and features to look for as you compare them. 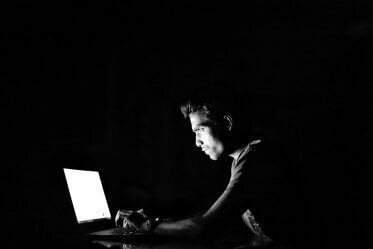 Most importantly, your blogging platform should be reliable, so you never have to worry about your blog posts going dark. Also, there should be tons of customizable options so you can change the look and feel of your blog. Do you want a blog or a full-fledged website? Is having your own domain name important to you? How much do you want to spend, if anything? Do you plan to make money from your blog? 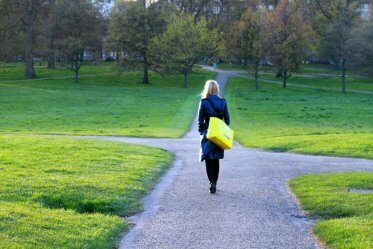 Your answers to these questions will affect your blogging platform choice. For one, you’ll want to decide whether you’ll be self-hosting your blog or if you want to go with a hosting option. When you self-host your blog, you have your own domain name typically, and the blogging platform is the backend. You’ll most likely need to pay a subscription fee, but you have more control over the blog’s look and feel. Choosing a hosting platform isn’t a bad choice for people that are new to the blogging world and aren’t ready to invest a lot. There are a variety of free platforms as you’ll see on the following top ten list, and getting started is incredibly easy. Starting a blog for many people is just a way to get their ideas and opinions out onto the web. Blogging is also a great way to boost your personal brand and get your name out there. Many companies look for candidates with a strong online presence, and a blog is a great way to boost your name and get on those companies’ radars. Blogging is great for professional writers to boost their online portfolio as well. Even if they don’t have an official byline, blogging is a great way for them to put out quality published work to show to potential clients. Blogging can also bring in money too. With certain blogging platforms, you can place ads on your pages. If you manage to gain significant traction to your blogs, you can make a decent living off of the ad revenue alone. Small businesses are also embracing the concept of having a weekly blog. When businesses use a blog, they have the opportunity to drive attention to their products and services while also providing readers with valuable content. The SEO possibilities are also phenomenal, and a well-maintained and well-written blog can help boost a company’s ranking on search engines. 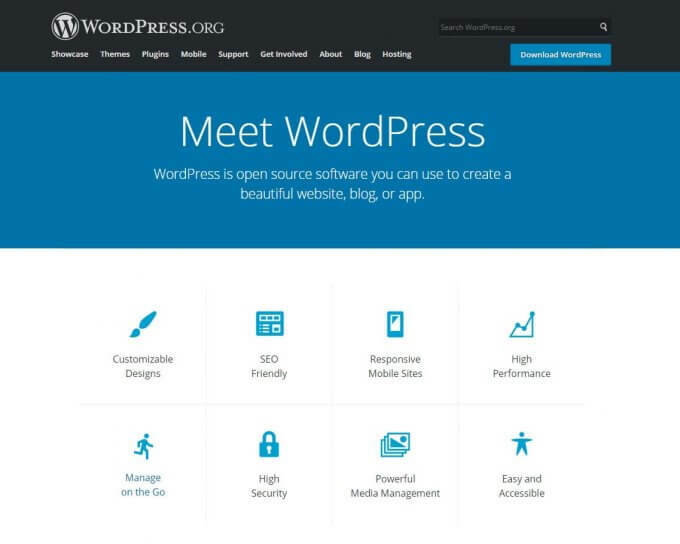 The WordPress online solution is the most popular blogging platforms on the entire web as it powers 30% of all websites. Yes, you read that right—30% of all websites use WordPress! The software itself is free, but you’ll have to pay for the hosting fees using whichever hosting service you wish where you can also pay for your own custom domain name. There is a learning curve for this version of WordPress. However, anyone with prior computer experience should be able to learn the basics of the platform in an hour or so. Once you have the basic down, publishing your daily posts is incredibly simple. One of the best parts of WordPress is the customizability. There are endless design features that you can use to really set the look and feel of your blog or website to match your style. They are also 45,000 free plugins available for WordPress sites for you to customize to your heart’s content. 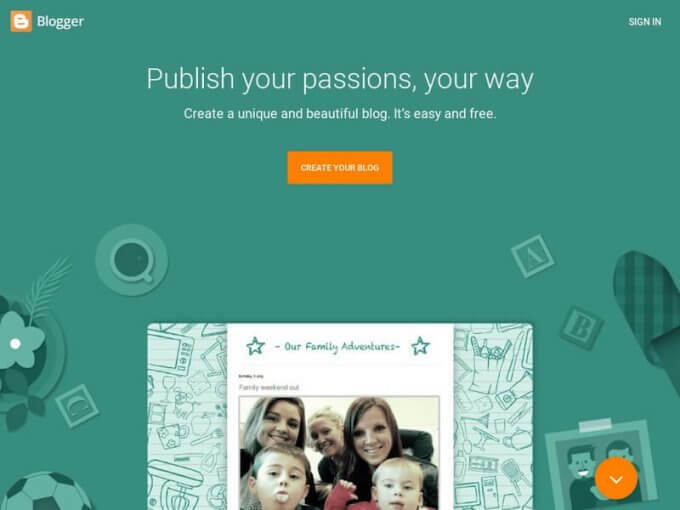 The most popular blogging platform on the internet. 45,000 plugins to customize your site. Great community support. If you have a problem, chances are someone can help you. It can take some time to get your site working 100% to your specifications. 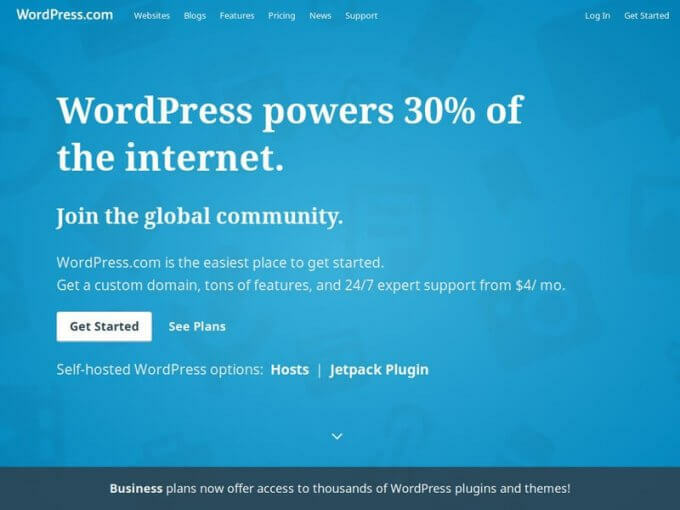 The self-hosting WordPress option is the best choice for people that take their blogging seriously and want a dedicated site with their own domain. You can also place ads wherever you like to maximize your revenue potential. As one of the oldest blogging platforms, Blogger has a history of providing a reliable and consistent experience for bloggers worldwide. Currently, Google runs the site, so if you have a Google account, you can sign up for free! It is incredibly easy to use, and they handle all of the technical details while the user end of the platform is simple. Hosting is included with this platform, and if you wish, you can use your custom domain name rather than the standard “.blogspot.com” The platform is simple to use, although there aren’t a ton of customizable options like you’ll find on other platforms. It is best for hobby bloggers and people that just want a personal blog to share their thoughts. You can start your blog in only a matter of minutes. Blogger includes hosting so you won’t need to pay any extra fees. If you don’t plan to use your blog for business purposes and you are just a hobby blogger, Blogger is a great choice. It is super easy to use and has a long history as a reliable hosting platform. Over the last few years, Medium has become popular amongst professional writers and hobby bloggers alike. It is a community for bloggers and writer to share their articles and blog posts. The layout is the same for everyone which offers readers a consistent experience. The platform is free to use, and hosting is included when you sign up. You don’t receive a custom domain for your profile, however, you can share a custom domain for a specific article or story. It is incredibly simple to use since everyone has the same layout and design. Simply sign up and start publishing! Medium is an excellent choice for writers, businesses seeking to bolster their brand, and hobby bloggers. Everyone is welcome on the platform, and many of the top-name bloggers on the web share their articles on the site. Can’t customize your blog and everyone uses the same layout and format. 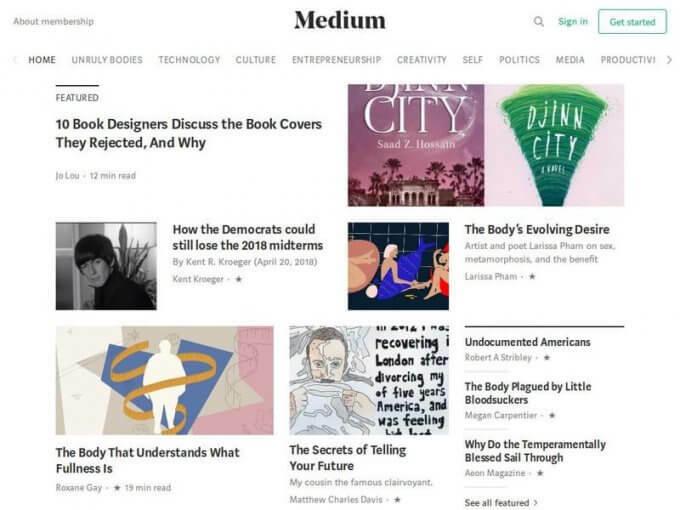 Medium has final control over your publications. Overall, Medium is a great tool for posting individual stories. If you only want to experiment with blogging before setting up your own site, Medium is a great starting point. If you only post short-form content, Tumblr might be a good choice for you. It is a site full of quotes, microblogs, GIFs, images, and videos. Users can share and comment on posts directly, and if you post good content, it has the chance of going viral on the site. It is free to use without any hosting fees. You receive a subdomain with your account, but it is possible to get a custom domain with a little bit of work. One of the primary benefits of the site is its ease of use. Anyone can get started using Tumblr, and it is the easiest to use of all of the platforms on this list. 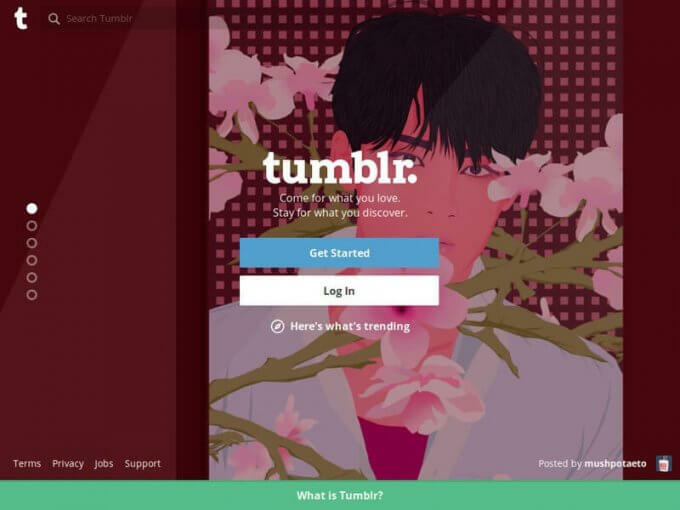 Tumblr has a wide variety of design options to make your page look and feel exactly as you wish but many of the designs available are premium so you’ll have to shell out a few bucks. Limited in some features compared to other dedicated blogging platforms. If you don’t plan to turn your blog into a business Tumblr might be a good choice for you. It is also good for hobby bloggers that post different types of media or smaller pieces of content like microblogs. Not to be confused with the other WordPress entry on this list, WordPress.com is the hosted version of the platform. You don’t need to download any software with this version, and it’s all based online. Setting up your account is super easy, and you can start posting blogs immediately. There are different plans available for free all the way to $299 a year for professional bloggers. You get a free subdomain, but you can pay to use a custom domain for your blog. One benefit of this version of WordPress is the ease of use compared to the self-hosting version. Once you set up your account, you can start designing your page with the basic tools and post your blogs from there! There are hundreds of design options available, and if you are on a premium plan, you can customize the themes even further. Keep in mind that this version is more bare bones and isn’t nearly as customizable as the self-hosted version. You can use it without paying anything, or you can opt for premium plans with more features. You can’t install custom themes, and you’re stuck with default WordPress themes. If your blogs aren’t in line with the WordPress rules, they could pull the plug on your site without any notice. Not available worldwide and some countries block the site. This version of WordPress is best for bloggers that don’t care about customizable features. If you’re happy with the dedicated themes and care more about the content you write, this could be a great choice for you. 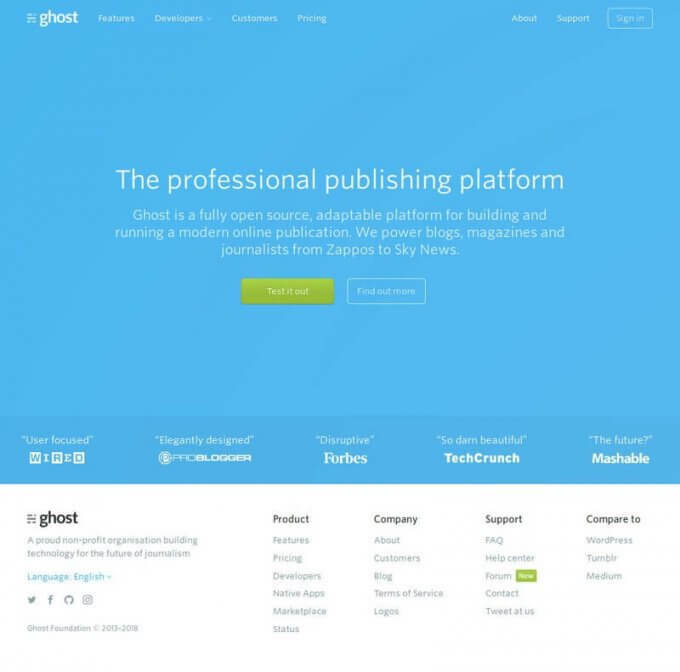 Ghost is essentially a more basic version of WordPress with an emphasis on being a blogging platform rather than a website hosting service. They make blogging super easy without any of the clutter you’ll find in the content management tools of WordPress. It’s free to download Ghost, but hosting requires a subscription plan which can be as little as a few bucks a month or as much as $200 depending on the traffic you expect to receive. If you opt for the free version, you simply download the Ghost software and then install it on the web host you choose. You don’t get your own domain with Ghost, but you can set one up with the hosting platform you choose. As far as ease of use goes, it depends on the version of the platform you use. The free version requires some skill to install it on the hosting servers. If you have Ghost Pro, the layout is relatively simple and won’t require much previous skill or knowledge. There is a wide variety of design to choose for your blog although many of them are paid. You can also look into downloading designs from third-party stores on the web. Ghost includes a few essential plug-ins like comments, SEO, and more, but there isn’t any support for external plugins and extensions. Optimized for SEO with a fast response time. Not as customizable as other options on this list. No support for third-party plugins and extensions. If you are a professional blogger or business, you might want to look at other options. If you only need a place to post your content, specifically if it’s optimized for SEO, Ghost is a great platform. It is clean and simple and great for beginning bloggers. 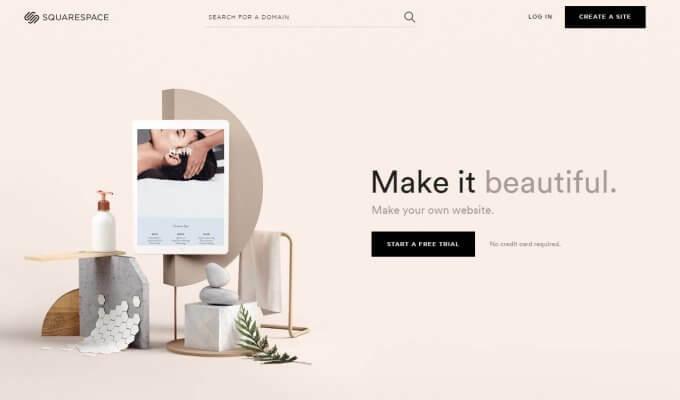 Squarespace is a popular tool for many small businesses and individuals. It has easy to use drag and drop functionalities along with guides to help you create a great website in no time. It is more geared towards businesses, but bloggers can find uses using the tools. If you intend to expand your blog into a business one day, you have room to grow. Squarespace is great option for anyone that needs to build a fully functional website quickly. The drag and drop feature makes the design process incredibly simple. It is ideal for businesses, but bloggers might also find a use for the platform. 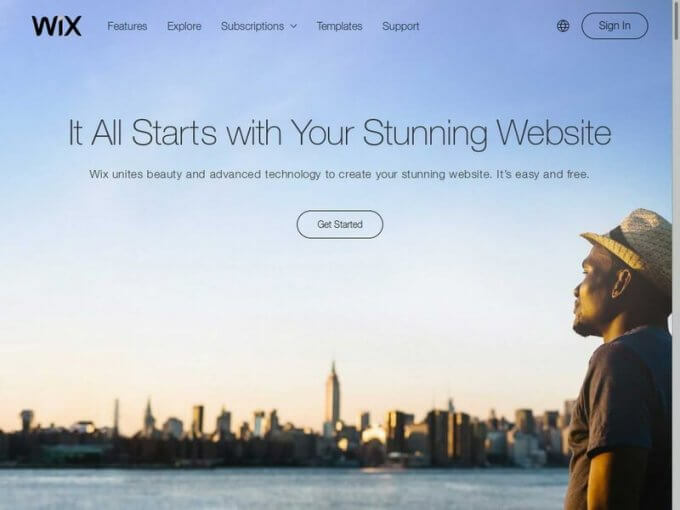 Wix is very similar to Squarespace and offers many of the same all-in-one website building features. Although it has many of the same features as Squarespace, the layout and user experience is slightly different. One key difference is that you can get started for free, with premium plans available for people that need more features. Hosting is included at every level, along with a subdomain but you can use a custom domain if you wish. Setting up your site is pretty easy, but to use it as a blog, you’ll need to add an additional blog module. Wix gives you the choice of over 500 designs to choose from so you’re bound to find one that fits your brand and style. As far as plugins and extensions go, Wix provides the essential ones most sites need, but you can also purchase additional ones through their app market. Outstanding customer support ready to help you with any questions or problems. Not as customizable as other platforms on this list so if you’re an advanced user, you might want to look at other options. Not a dedicated blogging platform so if that is all you need, a more barebones option might be best for you. Wix is great for anyone that needs a website. It is feature-packed and designing your site is incredibly easy without any prior experience. It is a great option for businesses, but hobby bloggers might find more value in an option without all of the extra features. If you’re an advanced user and have experience with platforms like WordPress, Joomla might be a good choice for you. It is very demanding and has a steep learning curve for non-experienced users. Even so, many bloggers and e-commerce stores choose Joomla because of its customizability and SEO focus. 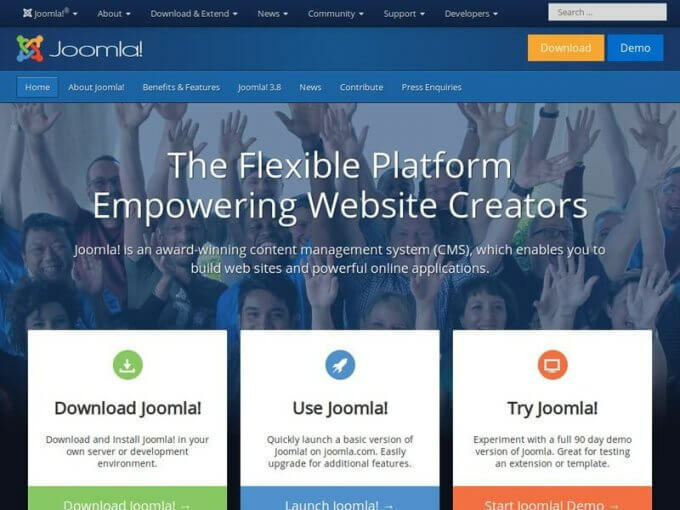 Although Joomla has a steep learning curve, once you master the platform, Joomla can be a powerful platform for posting and managing content. The platform is also only free for a month before you have to pay a monthly subscription fee. If you have previous experience working with advanced website building platforms before, this could be a great choice. It is very flexible, and the possibilities are endless. If you’re just a hobby blogger, however, save a few headaches by going with a simpler option. 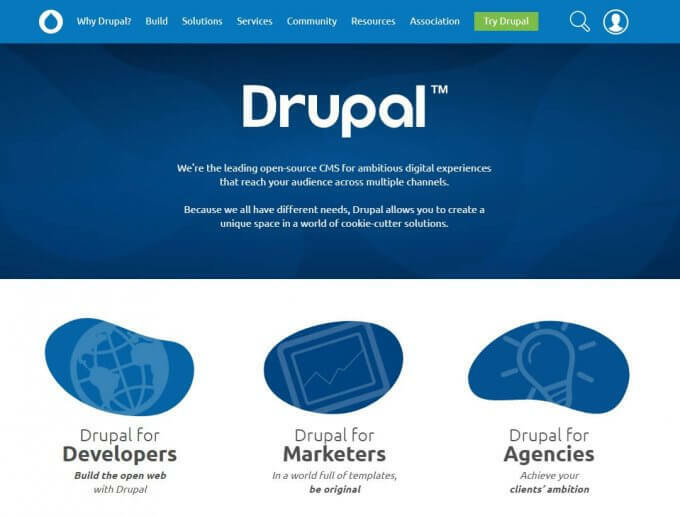 Drupal is a full-fledged CMS platform that many people around the world use to design and build their websites. It is a great software choice for e-commerce stores, online forums, and even some professional websites of major brands. Like the last entry, it also has a steep learning curve, so beginning users should stay away. You can choose from over 2,000 themes, and everything is fully customizable so your site will look and function perfectly. Hosting isn’t offered by Drupal, so if you choose this option, you’ll need to find a web host. Endless customizable options including layout, design, responsiveness, and more. A robust platform for professional businesses and other users. You need programming skills and knowledge of coding. If you have advanced needs and want to customize every single aspect of your website, Drupal might be the best choice for you. If you are just a hobby blogger, chances are the features might be a little overwhelming and you would be better off with a more basic service dedicated towards blogging. Those are the top ten blogging platforms on the web! 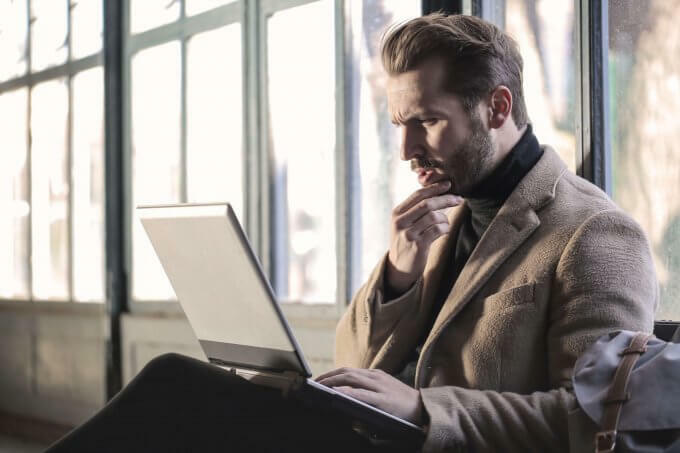 With any of these on the list you can get your blogs published, but depending on your needs, one might be a better selection. 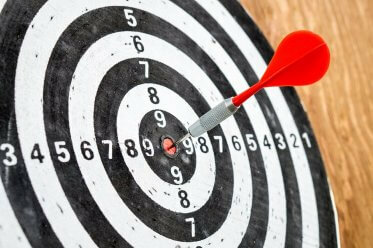 Determine what your goals are for your blog before you pick one. If you are a hobby blogger, choose a more barebones one that takes all of the technical trouble away. If you need more advanced options or plan to turn your blog into a business one day, a website builder might be the best choice. Once you know your goals, all you have to do is sign up, pay any fees if they apply, and get started blogging! Out of this list, my top choice would be WordPress as it is easy to update, manage and maintain. Also, their dashboard is user-friendly and as you have mentioned it offers endless plugins for varied functionality. Excellent post, Dmitry. Thanks for sharing! Good stuff, Dmitry! As a tech writer, I used to publish my blogs on Medium. It’s free and has a good interface! I shall explore another platform, too! Thanks for the list! Wix and Squarespace is another great stuff that is unknown to many, the new features introduced on the sites are impressive. I like the fact that most of the platforms are free to use. I would work towards getting a new blog set up for my new business. Blogger is popular as a result of the influence of its parent company. The popularity of the company is actually dwindling as a result of the impact of influence. Wow! 45,000 plugins is a great resource that can help to enhance the blog of those who want to take the task seriously. WordPress is great. I really need a blog that would help to showcase my new involvement in music; I think this provides a good resource to utilize. Thanks. #4 is what I use. Tumblr is great for me because I just blog for fun and write satire content that averages around 300 words per post. Can’t fully my site customize like other platforms but it’s free and gets the job done. Hi there. Nice list. I am still deciding which blogging site I should use to start my business idea. Looks like WordPress is the most popular choice when I search the web. Still new to all this, thanks for the info. Hi, do you recommend using Shopify if you wanted to sell products online? I would like to sell tees on my site but also have a blog on the site (and actively write new posts daily). Which blogging platform would be the best fit for me? Thanks. I’ve been blogging for about 3 years now and have 3 different sites on WordPress. I’m glad I started with WordPress because it has everything I need. I was drawn to the fact that it doesn’t really require any coding skills. I now blog as my full time job! I love WordPress. If you’re serious about blogging or setting up your blog as a business then I would suggest WordPress. You can get your blog started in under 15 minutes, and you can use free themes and plugins and fully customize your website. I really recommend it for new bloggers.